Muzammil Wahid a.k.a M.ZHE, Born on 19 march 1996 in Riyadh, KSA. 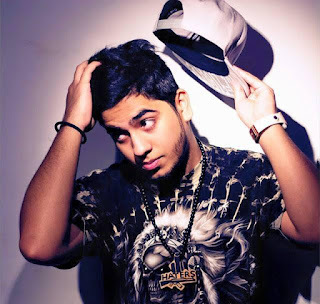 In the age of 11-12 in 2008 he released his debut audio track which was made with a chatting microphone and mixed with a normal music maker software along on the music he produced himself on basic loops, and started getting featured on several websites and PakHipHop.com titled him as the “First youngest Desi Rapper of the world”. He was one of the die hard fan of Bohemia and his art of poetry which made him get inspired by Bohemia. Later on getting more interested and serious in Rap and after coming to know the real meaning of Hip Hop he started taking more interest and getting more serious in his musical career in a pure Ghetto where music is banned. But for the love of hip hop he still struggled through all the difficulties and started making his marks on social media. M.ZHE is a Pakistani from nationality. When he was on his journey of his career he noticed other great talents hiding in the city because of the lack of studios and helping hands. 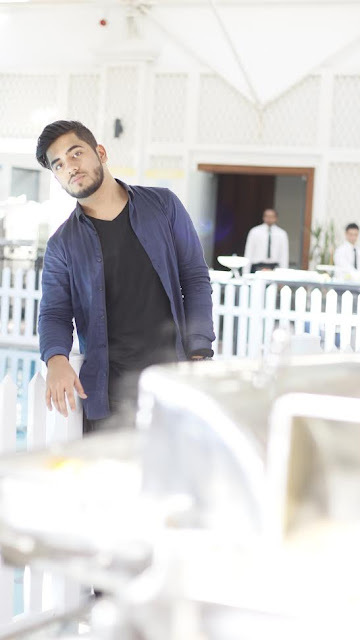 So M.ZHE decided to launch an underground private limited record label named as Gawky Records which was basically the idea given by his Rapper friend (TRAITOR), from which he started introducing more Desi rappers and more talent along with himself.He also was the part of the first ever official desi rap battle in 2014 which was held in Riyadh and the battle video is the second highest views on the They-See Battle League channel. Now he is dropping great projects like “Riyadh City Cypher 1, 2 and 3″ “Anjaam” “Yaad Hai Mujhe” “Nikki Nikki” “Fake City Cypher” “You can’t do it” "Pragmatic" 7uck Mainstream" "Mystique" "Pehli Vaar" "Akhri Vaar" "GR Live Sessions 1 & 2" etc. His tracks got played on Radios like Planet Hip Hop 101 which is the first international Desi hip hop radio program and also got featured on leading Websites like Desihiphop.com, plus also got featured on Tv channels like ARY Musik, ATV, IM Music and DM Digital. 1. How did you started rap in Riyadh? Started taking interest in Hip Hop in the age of 10, 2PAC was my first inspiration. Then BOHEMIA came up with Punjabi rap and introduced this new genre called "Desi Hip Hop" which made me take more interest in hip hop and rapping. Downloaded this random music maker software from internet and made a beat from loops and free styled over the beat that's how my rapping career begun. And the Hip Hop culture was there since 1990s in the streets of Riyadh, watching boys Battling, B Boying and making Graffiti Arts around the walls is what my brain was always attracted to since my childhood days so i can say that Hip Hop was my first love which was given to me by the streets of Riyadh. 2. Music is banned in Riyadh, Saudi Arabia then how you keep going with the rap? We are struggling through all the difficulties and making music on our own for the love of Hip Hop. We have to think twice before finalizing our location, because if we get caught shooting our music video on a public place we can get in big trouble. 3. Did anyone supported you when you entered in rap industry? No, I learned everything on my own by practicing and gaining experience alone. When i started people used to make fun because i was 11 and i had no idea what to do and how to do. It took me 5 years to learn the basics of Hip Hop and Rap all alone. I started around 2008 when there was literally 100-200 Desi Rappers in the whole scene, as i was doing it in Riyadh there were no one having interest in doing rap that time so my main part of career was experienced all alone without having anyone holding my back and supporting. In last two years been supported and appreciated by Big names like Imran Khan, Falak Shabir, Uzair Khan Chughtai, Gitta Bains, Raftaar, TazZz, illmatik, Osama Com Laude, Adil Omar, Xpolymer Dar, RANI TAJ and many more which is a huge achievement for all of my Gawky Records family. 4. Which is your biggest hit so far? My biggest hit in my eyes is 7uck Mainstream as a track and Riyadh City Cypher Three live session. 5. Did you ever collaborated with any other artist or you're looking forward to? I've collaborated with many artists, My most favorite collaboration was Uzair Khan Chughtai, TRAITOR brought me the project which was a really great achievement 2 years ago, as he is a huge singer so i would say Uzair Khan gave us a chance to make Rap Remix of one of his most appreciated track "Nikki Nikki".Then collaborated with a lot of underground artists like San Cha, K JI, Inder Preet, CampusEmo, Sound Shikari & Singh Pal etc. And yes i'm looking forward to collaborate a lot of artists soon some of them who i would love to mention are DIVINE, TAZZZ, ADIL OMAR, OSAMA COM LAUDE. 6. Few words to your fans. I don't call my supporters my fans they already know i call them my brothers, because without them there is no one who actually make me feel to make more and more, so my main message to my brothers is! Don't care what people think you are doing, just do what your heart tells you to, just do you! never let ego ruin you stay humble and positive even to those who don't appreciates you learn from the mistakes and be a positive inspiration to the people you meet. Thank you! Gawky Records was founded by TRAITOR and Created by M.ZHE in 2011. The main concept was to introduce those artists who are helpless and don't have any platform to release their stuff in this none industry so they both decided to help every helpless artist and give what they deserve then after 4 years of struggle the Gawky Records family kept growing, and now recognized as the only Desi Record Label in whole KSA.